I believe that it was the preference of a majority consensus of our Founding Fathers to have a very limited central government rather than the massive, intrusive, D.C. Beast that we currently suffer…which is why the Founding Fathers gave us the 10th Amendment to the U.S. Constitution long before there was ever a 16th Amendment. Said 10th Amendment expressly limited the federal government to only those powers specifically delegated while reserving the rest of the powers to the the States or the people. This week the Texas House passed an important bill that protects infants who survive abortion procedures, ensuring they receive the same care given to any other child born in a hospital. 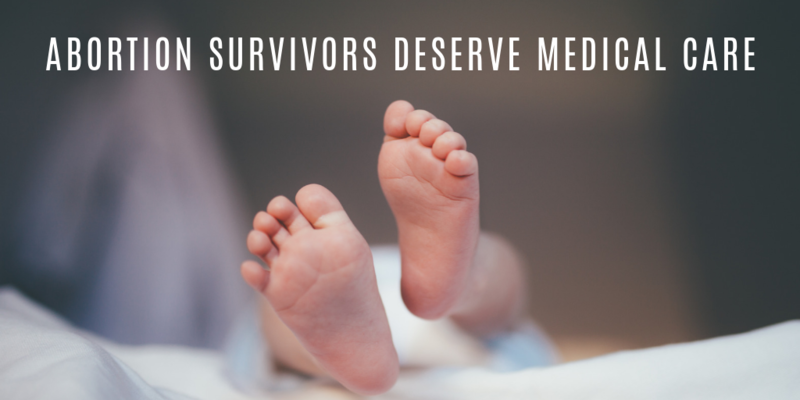 HB 16 creates causes of action for the surviving child or their parent / legal guardian to pursue against a physician who fails to provide appropriate medical treatment to the child. It creates a similar cause of action for the Texas Attorney General to pursue against the physician on behalf of the state. Along with outlining strong protections to ensure the women who seek the abortion are shielded from liability in accordance with state law, it establishes a reporting mechanism so a person who has knowledge of a physician’s failure to provide appropriate medical care can be reported to the Office of the Attorney General. HB 16 is a strong stance to defend life in Texas. This week I laid out HB 1313 in the House Committee on Ways & Means. HB 1313 is one of several bills I have filed that would provide targeted tax relief for Texans and is a priority issue for me. Incumbent presidents tend to have a “built-in advantage” of 5 to 6 percentage points in the popular vote, according to the Goldman chief economist Jan Hatzius and his team. A stronger economy under Trump administration is also adding to his edge headed into the 2020 election, Goldman says. Trump could still win the re-election fight even with a negative net approval rating. The National School Lunch Program has changed dramatically since it began in 1946. What started as a grant program to help poor students and those with special needs has morphed into a massive entitlement offering meals to 30 million students every year—equivalent to nearly 55% of all children enrolled in public and private schools. And the bigger the program got, the more wasteful it became. The Office of Management and Budget now classifies the school lunch program as a “high-error” program due to large losses from incorrect payments each year—nearly $800 million in fiscal year 2018 alone. QUESTION: 1. How many steps does the guard take during his walk across the tomb of the Unknowns and why? ANSWER: 21 – It alludes to the twenty-one gun salute which is the highest honor given any military or foreign dignitary. QUESTION: 2. How long does he hesitate after his about face to begin his return walk and why? ANSWER: 21 – The number of seconds for the same reason as answer number one.